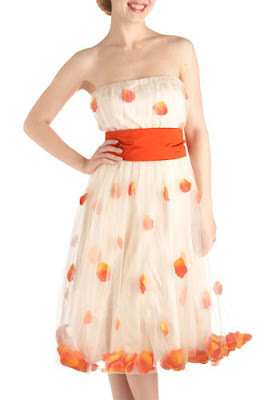 The other day I ran across "The I Do Dress" on Modcloth. 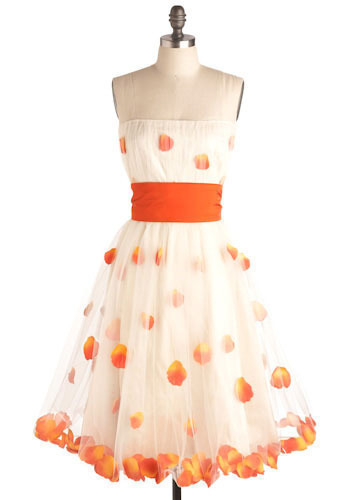 Yes, Modcloth now has a wedding dress.... (Well not quite has yet as it's still in production) And it is a gem! 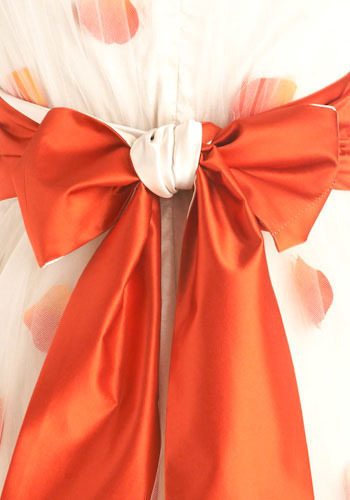 It's a handmade, hand sewn dress by Amai Unmei! 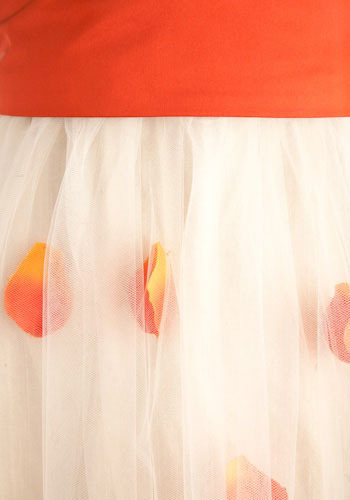 Made with tulle and silk and deep orange rose petals, it's down right adorable. Your eyes do not deceive you... the rose petals are sew in and bouncing free as well. The Back is fabulously vintage with the beautiful bow! Just look at these wonderful details! The only catch is the price tag... $895. I know it's not that ridiculous of a price but my big silk wedding dress from David's Bridal came to that much with all the little extra bits. And seeing that modcloth usually has inexpensive dresses, I was in a bit of sticker shocked when seeing this price tag. ;) Once I considered the fact that it's handmade, the price is totally reasonable. 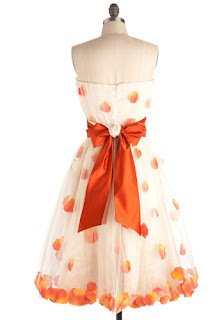 And had I not already bought my dress or had a boatload of cash just sitting around... this would so be my wedding dress for our Mellon Park wedding. It's a combo of my love for vintage and my love of nature bits with a girly flair. I could just see it... Petals in the Park! Love it and I also had sticker shock on that one, buts its very pretty. 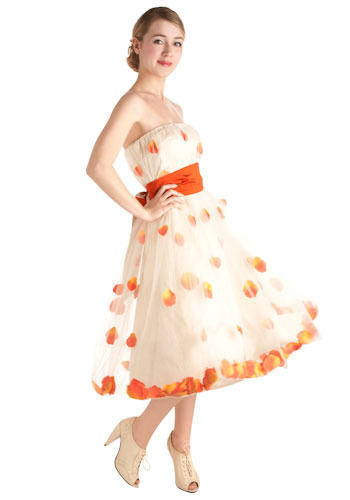 There's just something about the color and the petals that makes it such a wonderful dress! ps. My purple dress showed up today... 2 days late and in my mailbox. I just love it!